The Stage Coach Inn offers a taste of the American West at the doorstep of Yellowstone National Park. Open year-round, the Stage Coach Inn is a full service hotel providing a wonderful central location for touring the entire area. From the moment you walk into the spacious lobby you'll be glad you planned to stay. indoor heated and sauna and fitness center are yours to enjoy along with great nights sleep in your very comfortable room. Summertime vacation plans should include Teton National Park as well as great spots west of Yellowstone such as the old gold mining towns of Nevada and Virginia Cities in Montana, the Red Rock Game Refuge and the 1959 Earthquake site. Hiking, biking, birding, fly fishing, horseback riding and rafting are easily accessible. Winter time in Yellowstone Country brings miles and miles of groomed and ungroomed cross country ski and snowmobile trails. Snowcoach tours mean that even the youngest and oldest can experience the winter wonder of Yellowstone. Winter vacation packages are available. Late November finds the community alive in lycra as cross-country skiers from novice to expert and from all over the world converge for days or weeks of training. Trails are groomed to perfection twice daily and skiers clinics are open to all. Bicyclers and runners have Yellowstone to themselves in early April. Later spring remains a quiet time, the perfect opportunity to catch the world blushing green and babies of every species arriving. 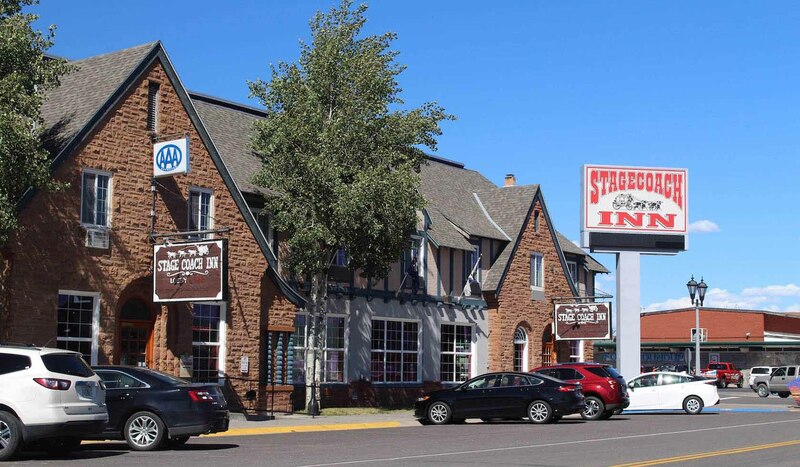 The Stage Coach Inn, a community landmark, is only blocks from the IMAX Theater, Yellowstone National Park and the Grizzly Discovery Center. Groups and tours are welcome.